Held at two locations in the UK, Hylands Park in Chelmsford and Weston Park in Staffordshire, over the weekend of the 16th and 17th of August 2014, this is a massive concert featuring huge names and a great atmosphere. Expect to see Justin Timberlake, The Killers, Lily Allen, Ed Sheeran, Paolo Nutini, Example, Bastille, Kaiser Chiefs, Manic Street Preachers, Blondie, Rizzle Kicks and so many more. It's a real mix of music genres with old favourites and great new bands and singers sharing the stage. A brilliant weekend full of music and dancing. Accommodation wise, there are so many options. From yurts to beautiful old gypsy caravans, stunning American style Airstreem caravans and wooden huts, to exotic Bedouin tents and Luxury Emperor Suite tents, to colourful village style accommodation, you'll find the perfect accommodation choice for you. Another festival held in two locations over two dates, the Wireless Festival is now in its eleventh year and still going strong. Featuring the best pop, rock and dance acts combined with a great festival atmosphere. You'll find a festival village here featuring a huge beer garden, food stalls and chill out zones. You can't camp here but as the festivals are held in London and Birmingham, you'll have no problem getting in and out of town thanks to the readily available transport and hotels. The line-up this year features acts like Kanye West, Pharrell Williams, Drake, Rudimental, Knife Party, Bruno Mars, Outkast, Salt n Pepa and Ellie Goulding. You'll find it In Finsbuy Park in London and Perry Park in Birmingham on the 4th, 5th and 6th of July 2014. Rockington Motor Speedway will play host to Racing Rocks on the 17th and 18th of May this year. It’s an eclectic music mix, including folk, country, rock and cover bands, combined with a beer festival, where you'll find 40 hand crafted beers and ciders. There’s also a food fayre including cookery demonstrations as well as street vendors and artisan foods and, of course, plenty of motorsport action. It's a two day extravaganza that's great for rock and racing fans. With lots of hotels and B&B's in the surrounding area and even a free prebookable campsite, there are plenty of opportunities to stay and enjoy the whole weekend of the festival. 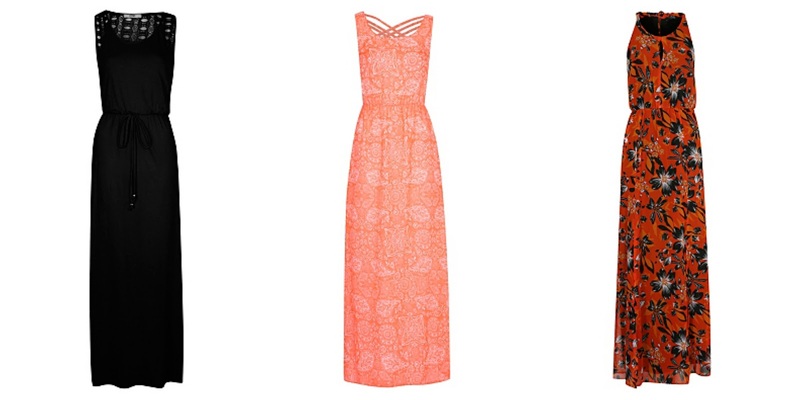 Festivals are of course a great excuse to buy some of the great maxi dresses at George and rock that festival style. Also popular this year are dungarees, bright patterns, teeny shorts, comfy sandals, Aztec ponchos, pretty playsuits, flowery cover ups, big sunglasses, pinafore style dresses - and don't forget to pack your wellies too. Get ready to rock, dance and party in style! i went to v festival a couple yeara ago it was fab! I'm not a fan of festivals... never appealed to me. Ah i really want to go to a festival although I'm not a festival kinda girl hehe.